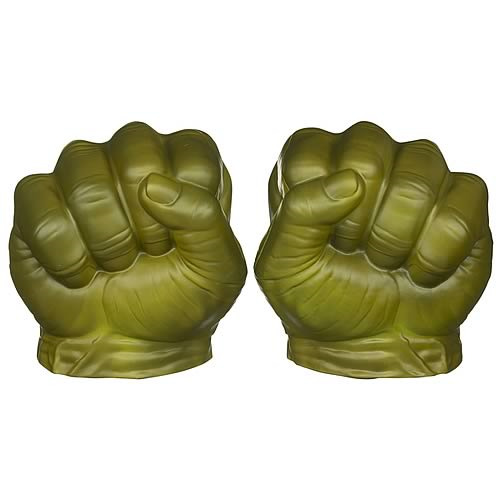 Feel just as powerful as your amazing Marvel Avengers hero, the Hulk, with these amazing Gamma Green Smash Fists! When you put these green hands of power on your own hands, it will be that much easier to imagine yourself smashing everything that gets in your way! With a Hulk hero mask (sold separately), you can be even more like the muscle-bound green hero. Get into the best Hulk action ever with your Gamma Green Smash Fists!